From Indie GoGo to Indie Oh NO! Today’s Ask The Expert Post is from Dr. Letitia Wright America’s Crowd Funding Strategist! Be sure to Join us for at Stiletto Wealth Experience 2012 In November where Dr. Wright will be sharing her crowd funding know how on our financial resource panel. There is nothing wrong with Indie GoGo and using it for crowd funding. But what happens when it all goes wrong? What happens when no matter what you do, you just don’t raise the money? This is really what this article is about. There have been plenty of successful people on Indie GoGo. If you follow a few rules, you will find success there too! Understand what crowd funding is: Many people think crowd funding is just a bunch of people on social media handing you money. You just put the link on your social media and if 10% of the people click and give, you would be a millionaire! I am not sure how that rumor started but that is NOT how it works. Social media is a part of it, but only a part. You have to understand the strategy behind a successful campaign. You have to know what they did and be able to duplicate it. For example, if someone tells you they had a mailing list of 10,000 and they send each one three postcards. You have to look at your situation and figure out if you have the budget to do the same thing. If you have the budget, you must then find out what they had on each post card and how far apart were the mailings done. If you can’t duplicate that, then that strategy won’t help you as much as it did the other person. Create a specific plan: For most people the plan is the basic 2 x 2 x 2. You know this plan. They have 2 websites to choose from- Indie Go Go or Kickstarter, They have 2 sets of people to share with- Their family and everyone else, They have 2 ways to get the word out- Emails and Social Media. That plan won’t work, as the millions of people who have tried it. Many people go into crowd funding without a budget, so the 2 x 2 x 2 plan is the only one they can afford. Your plan has to be more specific than that. There are over 500 websites to choose from and the list grows daily. If you only know of those 2, you have not done your homework. If you are only going to do a few emails and social media then you are making it hard. Most people do not have a large enough list for that to work. Be sure you can deliver on your gifts: After you raise the money you have to perform. Currently, this is not a huge problem. There are some people who have not performed but no real scandal has happened in the industry. You don’t want to be the first one either! This is your tribe, if you scam them, it’s about you and your brand that is damaged. Almost no one does this intentionally. Be sure you budget enough money to do what you say you are going to deliver. There are a lot of hidden costs to doing crowd funding. So….Who’s Gonna Pay For That? The Money is Already Here! It has not left the planet. 1) We always have the money to do the things we REALLY want to do. 2) You always get exactly what you need when you need it. First, you might be telling yourself you can’t get the support you need because YOU don’t have the money. Secondly, it will help you in speaking to clients who say they don’t have the money. So, here we go – 10 ways to get the money you need every time! 1) Business Loan. There are many small lending institutions (especially locally owned banks) that want to help finance small business because the entrepreneurs are doing well in this economy. 2) “Business Loan.” This is what I call a job or part time job. I think if you TRULY believe in your dream then you must do whatever necessary to realize that dream. A stream of income will help you go from NEEDING clients to wanting clients. And do not look at it as a job – it is a business loan to fuel your start up. 3) 401ks and other investments. Your accountant will probably tell you this is a horrible idea but is very possible to used some of your retirement as seed money. That money can definitely be used to grow your business. With so many retirement accounts shrinking with the craziness in the market be very aware that one very good investment you could make is an investment in YOU. There are even ways to roll the funds into your business with NO penalties. 4) Low Interest Rate Credit Cards. We have a really messed up view of credit in this country. Debt has been made to seem evil (I could go on for days about this), but good debt is a very useful tool. In fact when structured properly business credit cards will not show up on your personal credit report so there’s no negative impact to your FICO score for having to much debt. Good debt is debt you incur to finance a project or dream that will give you a return on investment and you have a plan to pay it back. You are using it to learn, grow, and develop to bring in revenue from your business. No one really blinks at student loan debt, but we all get nuts when we, say, put a coaching program or mentor on a credit card. What’s the difference? There isn’t – at all! One has just been conditioned by society to be okay. Check out the Cash Flow & Capital Secrets course. 5) Got Junk? I have had clients (actually right now) finance their dreams by selling gold, putting cool stuff on ebay, or selling a car they no longer wanted or needed. David Neagle, first financed his dream by selling a boat. Suzanne Evans spent a year selling yard sale finds on ebay to pay for a vacation AND her coaches. See how creative you can get? 6) Get Started NOW! Many of you are waiting to have everything perfect or in place to get clients and make money. I guarantee you know enough now to start working with people. Maybe you will have an introductory rate or special for the first 5 clients you work with, but there is no need to wait. You can start making money now! 7)The Bank of Friends and Family. Many times friends and family are happy to help and will charge you a much lower interest or no interest. If you are in the UK, Australia or South Africa, Richard Branson has made this very easy with www.virginmoney.com He has created a program that helps friends and family create loans and have tracking, accountability, and make them professional and organized. He calls them social loans. Crowd Funding is a more widely used term. 8) Make a Cash Flow Change. Look at your full budget and spending – I have never seen one person or family that didn’t have something they could tweak to find money for their business. Is there a tweak that could be made to your daily spending? Hobby spending? Where is there waste in your weekly budget? Are there services you haven’t used in 60 days or longer that you pay for every month? If so, cancel them. You can always start them again if you need them in the future. It can be amazing how easy it is to find $100 or more a week with small changes. 9) Apply For a Home Equity Line of Credit. Some banks offer home equity lines of credit that let you borrow up to as much as 85% of the appraised value of your home. Depending on the value of your home and what you still owe in other mortgages, that can put a significant chunk of money at your disposal for starting your business. The downside: you’re putting your home at risk. This is not an option for everyone, but it is a great option for some. Always understand your risk and all the details. 10) Make The Decision. You or your clients do not need the money for coaching /mentoring/support until they make the decision to get support and play a bigger game. Anything is possible when you make a decision. Many people think they have made a decision, but here are the facts. A decision is ONLY when there are no other options. There is no failure or stopping buckets to put your balls in. You do whatever it takes. And you will get the support you need to make it happen because when you decide, heaven moves to support that decision. There is divine provision waiting to fund your dream! Heaven is ready to move on your behalf. The money is already here! Want to use this article on your website or your own ezine? 3 Simple Ways To Give Your Business A Financial Fresh Start For This Year! As a woman entrepreneur, whether your business is robustly moving forward or you’re just getting started, its common to have a bit of “emotional baggage” (or negative money B.S. as I like to call it) you may be carrying around, that is slowing you down. For example, maybe you have debt or perhaps you’re ready to increase your fees. but you’re feeling a slight twinge of guilt or fear that people won’t pay. Or maybe you see the perfect mentoring program you want to invest in but your spouse is skeptical that it will be a wise investment. Once thing is certain, if you carry past baggage with you into the new year, you’ll have a much tougher time creating success. which is why this is the perfect time of the year to give your finances a fresh start. 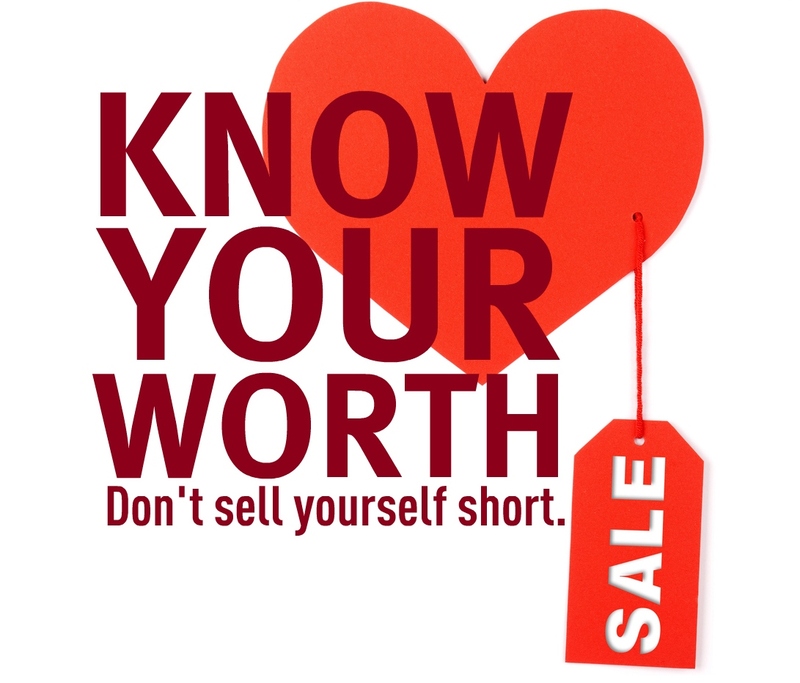 The mistake that most women entrepreneurs make is not knowing exactly what type of financial actions they should take. Let’s be real, it just isn’t a topic that is discussed. which is why i’m sharing 3 of my BEST tips with you on how to give your finances a fresh start as you head into the new year. And while you may not be able to wave a magic wand or sprinkle a little pixie dust and magically make your debt dissapear or make your husband change his mind, you can create a plan that addresses the emotional and practical aspects that make of every woman business ownere’s financial future. 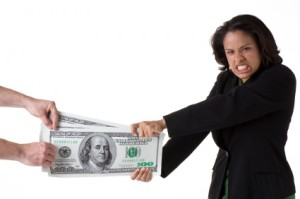 Tip #1 – Stop Being A Victim of The Past and Falling Prey to Your Money B.S. Women hold themselves to a level of perfectionism that leaves no room for mistakes. Trust me we’ve all lent money to people we shouldn’t have, let worrying about what others think keep us playing small, given away our power with money, or we’ve made decisions to purchase something that we later regretted. You can’t change the past but what you can do is stop carrying it around with you! So instead of feeling guilt or shame or blaming fate or circumstances for what’s happened, learn to forgive yourself. Forgiveness is an act of the will, extreme compassion and understanding for the tiny part of you that was doing her best when you made those decisions. I often this from many women entrepreneurs, ” Shameca, how can I invest in growing my business when I have debt?” Or they’ll say, ” I don’t want to pile on more debt”. First realize the best way (or chance) to pay off your debt (most likely) will be by growing your business, because you’ll have the increased cash you need to make more than your minimum monthly payments. Next, understand that investing in growing your business while you may still have debt makes perfect sense if you are committed to taking action and implementing. I’ve metored hundreds of women entrepreneurs on my simple cash flow debt pay-off strategy and i’ve discovered that those who take massive decisive action in their business are the ones who also pay off their debt faster than others. Women tend to cave in on their boundries because in some way they feel responsible for other people’s feelings. But giving in means giving up on your self-respect and losing the respect of others. And those yucky feelings and negative energy ofter flow through to other areas of your business, impacting your fees, the types of clients you attract, and so much more. My advice? Its far better to experience a moment of discomfort while upholding a boundary than it is to untangle a money mess later on. No I’m not saying you need to be the wicked witch when it comes to maintaining a boundary. Boundaries are easily upheld from a place of kindness, consideration, and connection, all of which helps you stand in your power with confidence! Just the other day I attended a training call with one of my mentors Adam Urbanski. I had the most profound AHA after adam made one statement. He said the problem that most entreprenuers have will selling their products and services is focusing on the process or the details of how they will deliver to their clients instead of focusing on the benefits. I thought: He’s absolutely right. How many people take vitamins everyday even though they know the vitamins are good for them and the vitamins will make their body’s feel better and function more efficiently. But what If the doctor diagnosed you with a terminal illness and told you that there was a plant in a remote bush town that when broken down and put in an easy to swallow capsule would cure your disease in a matter of months or even weeks..guaranteed. You’d move hell and high water to get that plant. You know that you can not live without it…right? You know that without it you would eventually cease to exist. You’ve all heard me say that the number one reason businesses fail is lack of capital. In fact almost 90% fail withing the first 5 years. So its definitely inevitable without cash flow, cash, mulah, money, You business will not make it. BUT what I realized is explaining that to people is in fact just a vitamin because the hope is that somehow the company will make enough money to sustain its self. Even though the odds are against them, many entreprenuers take that gamble every day. They would rather struggle on the cash flow roller coaster or Play russion rouletter with the retirement accounts. 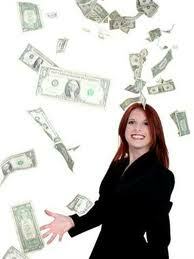 How would you like to double your cash flow in 30 days or less. In 30 days or less. Well that’s what I do for my clients. No more vitamins…Let’s be real…you need a pill! Apply this principle to your own business and see if you create your own AHA moments. Remeber how you get theire is virtually irrelevant….the client is asking What’s In It For Me? Unfortunately, as a business consultant, I have talked with far too many business owners that come to me after failing at running a home based business. Why? Poor management of finances. Far too many people use their personal savings, retirement, home equity, and credit and that is a very dangerous thing to do. I thought that the importance of seperating your business credit and personal credit was obvious, but maybe it is not. Registering your company with the business credit bureaus and getting business credit cards that don’t show up on your personal credit ultimately allows the home based business owner or Entrepreneur to have the freedom to truly keep their personal finances and their business finances separate. This is essential throughout the year and obviously when it comes to tax season as well. There is no reason why the finances of a home should be mixed up with the finances of a business. Keeping the credit profiles, credit cards, bank accounts completely seperate will set you up for more funding options in the long run. Here’s the bottom line: Entrepreneurs and home based business owners need to separate their business and more so because they usual operate from virtual office spaces or from home. This will be impossible without registering your company with the business credit bureaus and establishing business credit cards that do not report to the personal credit bureas. So apply If you want a widly succcessful enterprise you must do what widly succcessful business tycoons do. It will make a huge difference to the organization and success of your company and ability to raise capital. Here’s the deal. Wealthy individuals, and many who have plans to build wealth, hire financial planners. What is a financial planner’s job? They manage assets. One of the most common problems that business owners face is not in management of their assets but in managing their debt. The more wealth people have the more debt they usually inccur and in order for the business to grow they must have access to capital (aka Mulah, Money, Cash). Access to capital usually means creating more debt. The key is to properly structue or create the debt. To do this successfuly requires strategies that most business owners are not trained or prepared to do. Managing Business Debt is not just about paying your bills on time. When done properly you can create a well oiled machine that turns your company into a widly successful thriving enterprise. Stuggling with Cash Flow? Try Unsecured Business Credit Lines. At some point in time, the reality with most businesses is that fluctuation periods would eventually come and such companies will have to face problems regarding their cash flow. A company may experience a financial crisis wherein more cash may be going out than entering as profit. It is very important for any enterprise to never run out of funds. Having an unsecured business line of credit could make all the difference. Assuring that your company has an unsecured line of credit will be a big step of precautionary on your part to keep your company afloat, even when faced with financial crises. What Is An Unsecured Business Line of Credit and How Does It Help? An unsecured credit line for your business is a type of financing resource that can provide your company with the money that it needs without requiring collateral. Having such a credit line for your company can be of great benefit, especially when faced with problems on cash flow. This can provide you with the temporary funds that your company may need for operations to continue. In running your own company, sometimes being prepared for possible problems play a big role in helping you ride the tides of business. For sharp entrepreneurs, even when there is no immediate need for the extra funds, having an unsecured credit account at hand will be a good cautionary tool for anything that could possibly go wrong with the business. After all, you can never know exactly when your company might experience cash flow problems. But knowing that you have back up when funds become unexpectedly tight through unsecured business lines of credit, will surely set a whole lot of difference for your business to step up the ladder. If you had no idea that there is a totally different credit scoring system for businesses than there is for people, don’t fret—I’ll explain. Personal credit scores range from 350 to 850. All three of the credit bureaus—Equifax, Experian, and Transunion—offer FICO credit scores using a complex mathematical formula developed by Fair, Isaac and Company, but they each give the scores a different name: At Equifax, the FICO is known as the Beacon credit score; at TransUnion, it’s called Empirica; and at Experian, it’s called the Experian/Fair, Isaac Risk Model. Business credit scores range for 0 to 100. The major business credit bureaus are Dun and Bradstreet and Experian Insights. Unlike their counterparts the business scoring system is not complexed. It is quite simply based on payment history. Each credit bureau does however, give the scores a different name. At Dun and Bradstreet the score is called a PayDex and at Experian it is called an Intelliscore. Here is the bottom line in this crash course: Good business credit scores PLUS good business credit scores gets you access to lots of business funding!